1. Recite a piece of good prose and some lines of verse suitable to their age and interests. 2. Make a 5-minute speech on a subject chosen by the Scout. 3. Read aloud a piece of prose selected by the Examiner who will judge diction, emphasis and speed. 4. 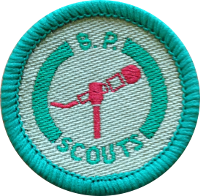 Take part in a discussion with 1 or 2 other Scouts on a subject chosen by the Scout from a list provided by the Examiner 14 days earlier.